As women age they tend to stop following hair trends because stylist hair isn’t as important. In actuality the right haircut can make you look years younger and very fashionable. Choosing a haircut shouldn’t be based on what society thinks is age appropriate; it should be based on your face shape and structure, lifestyle, personality, skin tones, and hair texture. Shorter hair is often better for women over 50 because hair is naturally thinner due to hormone deficiencies after menopause. Short hair looks best with women who have big or small facial features, an oval face shape, and well-defined eyebrows. Short hair is very trendy right now, and can give women the classic fashion look. Short hair can also hide wrinkles, draw attention to your hair rather than mouth and eye wrinkles, and give an old hairstyle a new fresh look. If you want to be able to pull your hair back in a ponytail, or want face-framing layers then don’t hesitate to keep your locks shoulder-length or a bit longer. Women over 50 shouldn’t feel obligated to cut off their hair just because they are older. If you have healthy hair, and don’t mind the maintenance of longer hair then choose a cut and shape based on your facial features and hair texture. The bob is the ultimate over-50 haircut. It allows you to keep your length, trendiness, low-maintenance, and a hair cut that is great for thinning hair. There are a lot of varieties to the bob and you should choose which one is best for your hair texture and personality. The length is generally at the ears to a few inches past the chin. The part looks best when it is sided for women over 50 because it disguises thinning and draws attention to your hair rather than face wrinkles. A bob is simple, beautiful, and age-defying. This haircut is perfect for every texture and hair length. 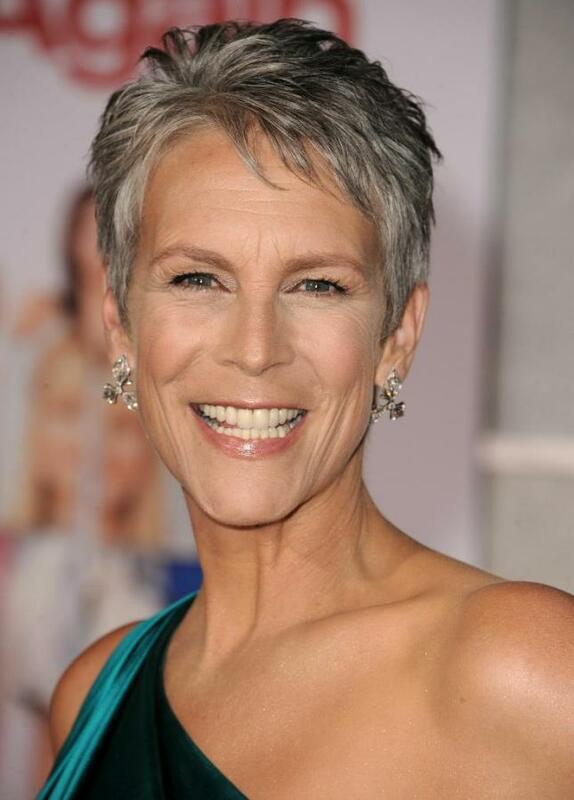 However, it looks ultra-chic on women over 50 when the hair is cut an inch or two past the ears. The look features a lot of choppy layers around the crown and choppy ends, which gives the hair plenty of volume. If you have fine hair then go easy on the layers. This chopped shag style is perfect for women over 50. If you have had longer hair for decades and you’re ready for a fresh new shorter look, then the pixie cut is perfect. Although your hair is shorter, the pixie allows you to keep the appeal of femininity with a short look and you still have a lot of options with how you style your hair. The pixie haircut is playful, low maintenance and ultra-chic. Women love their hair, so cutting it off for a “mom-do” isn’t always appealing, especially if you have a round face shape or thick textured hair. Long face-framing layers on mature women can give hair extra movement and take 10 years off your age. Layers also keep your hair healthy and great volume. You don’t have to have short hair because you’re over 50. Add some layers give hair a fresh and healthy look. 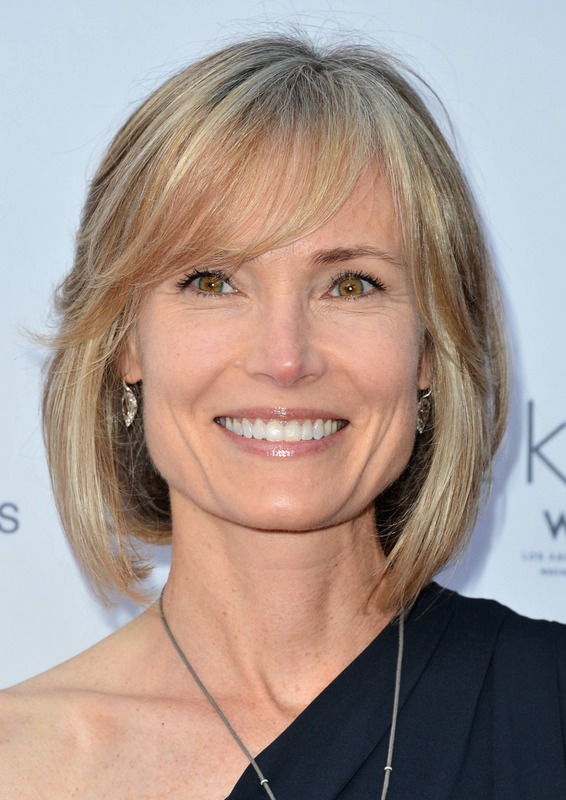 If you have short hair then blunt bangs that fall right above the eyebrow are perfect for women over 50. For women who have wavy or curly hair then a full-side swept bang is preferable. When chosen the right bangs it’s important to consider your face shape, and what you want their purpose to be. If they are to hide wrinkles then you will want fuller bangs, but if they are for face shaping then bangs that are longer and layered are recommended. Bangs hide wrinkles and draw attention away from wrinkle-prone areas. They are perfect for women over 50.